Old Fort Niagara Association; Youngstown, NY, 1992. This is a valuable resource. Not only are there loads of pictures and details on uniforms and equipment, but the overview of the war and the struggles both sides had to keep soldiers clothed is simultaneously compact and informative. Heidler, David S. and Jeanne T.
In Florida, the War of 1812 didn't really stop. It just became a complex conflict between America, Britain, Spain, settlers, former slaves, and Seminoles. The Heidlers cover the invasion of Florida in detail. They include not just the actual invasion led by Jackson, but the necessary political wrangling in Florida and Washington. It really explains how Jackson became one of the primary fault lines of American politics. University of Chicago Press; Chicago, 1966. While not perfect, Cole's book is probably one of the best general histories of the war. It describes the Naval, political, and diplomatic elements of the war in an easily read format. Hippocrene Books; New York, 1990. A brief synopsis of Andrew Jackson's life, from his early days as a lawyer in Tennessee to the aftermath of the Battle of New Orleans. The book does not make use of primary source materials, but does a nice job of describing the relationships between the major events and personalities of the Battle of New Orleans. 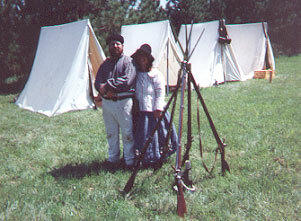 Heidler, David S. and Heidler, Jeanne T.
The Heidlers have written a detailed account of the Creek War and subsequent Florida campaign. The reader needs to stay alert as to when events are happening, but everything is there, including the changes wrought in American politics. It's clear after reading this why Jackson was such a divisive figure. Most of the detail in this book deals with the various volunteer and militia units of Canada before and during the War of 1812. Each unit is described, uniform descriptions are given if known, and numbers of men who served in them also if known. It is divided into sections on Lower Canada, Upper Canada, the Maritime Provinces and the Indian Country. Yes, the Mississippi Volunteers are mentioned and their captain is quoted in this work. This is a very good primer on the various units that served Canada and will help the novice and others figure out the differences in Canadian terminology used by their various forces. This is a short history of the war on the Patuxent River, but the bulk of the book describes the underwater archaeological search for surviving specimens of Commodore Barney�s flotilla. The first 94 pages give the reader a little prehistory of the area but it mostly details the naval operations on the river during the war. The next 190 pages describe the archaeological surveys and underwater digs that commenced in the late 1970s. The techniques used are described as to what worked and what did not, also all the tribulations they endured trying to find any of the wrecks is written out in detail. This would be of interest to a serious reenactor of the war especially if you do any navy interpretation. The book is 264 pages long in the text and has a nice index, bibliography and a glossary for those who are new to early naval terminology. I had heard of course of the Essex but had never read a detailed history of this ship except for what is in the Time-Life book The Frigates. This is an enlightening, interesting and easily readable source of information on what to most people is a little known ship. All of her history is interesting but her career during the War of 1812 is probably most important to us. The Essex did not fight in any famous battles like the Constitution, but she did disrupt the British merchant marine and whaling interest. The Essex went into the Pacific to specifically as a raider and captured numerous British whaling ships. The descriptions of these actions describes a war effort not very well understood by most enthusiasts of the time period. The book is topically arranged exploring the history of the militia prior to the War, Congressional and State expectations of what the militia was to be, its organization, and its use in the various sections of the country. The most important chapter for us is the Fifth Chapter which is on the militia in the west. This begins with a treatment of the Boyd-Harrison feud which erupted from the ashes of Tippecanoe. What is disappointing is that the chapter merely recounts things without adding much to the historiography. And, "the West" seems to be Ohio, Indiana and Illinois. Even though not much is going on Missouri, or any other western area sans combat, it would be interesting to study what the militia was doing. Skeen concentrates on combat and operations. The last disappointing aspect is the neglect of Canadian militia units. Conspicuously missing are the Battle of Prairie du Chien, Missouri Rangers, and Mississippi Volunteers. Citizen Soldiers is a must read for any War of 1812 library, and undoubtedly will be the standard on the topic. This is mammoth work. Reference works like this one are sorely needed for the War of 1812 to assist students and academics with failing memories in locating crucial information. Each of the entries, no matter how long, are followed by a brief bibliography which may be consulted for further information. Usually there are a number of suggestions to consult related entries in the encyclopedia. There are of course a number of concerns. 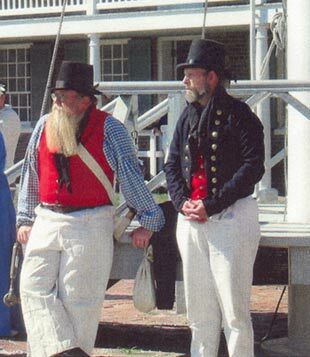 First, there is a noticeable lack of western War of 1812 personalities given biographical entries. The coverage of Prairie du Chien is negligible; its opening sentence reads thus: "The British post and settlement of 100 settlers in 30 houses was situated on the east bank of the Mississippi River, �" Therefore this entry by Frederick Drake leaves much to be desired for the far northwestern theater of operations, or what could rightly be called the "British & Indian War." Second the bibliographies at the end of each entry tend to have numerous dated materials listed, rather than more recent works. Many of those listed are from 1900-1940, which is great for those interested in the historiography of the War of 1812, but not terribly helpful if the scholar needs more immediate access to further information. Third, the Heidlers seem to have written the bulk of the entries, and there are a small number of authors, each writing on quite a number themselves. A diversity of authors in a compilation like this necessary so as not to color the work. Fourth, and only very minor, is that there are no entries on the material culture of the period. There are some very informative articles on topics such as artillery, but not canteens, haversacks, etc. For that matter there is also a lack of women's topics and regimental entries. It would benefit the student looking at the Battle of New Orleans, for instance, to know that two of the Seventh Infantry companies were not there but serving in the Upper Mississippi. There are invariably difficulties anytime a work like this is produced, since it is for reference. Each individual thinks and organizes differently. Therefore it is easy to find fault with it. The truth is that there is nothing else like it, and the War of 1812 community owes a debt of gratitude to the Heidlers for showing the way. The next book to follow it will be judged by this one. Hopefully the next will cover the enormously important British & Indian War in the Upper Mississippi, Michigan and Ohio the way those who lived there knew it. Encyclopedia is a first of a kind endeavor for the War of 1812, but it has some academic and regional problems which need to be observed. Grade B.